Browsing the archives for the kindle tag. 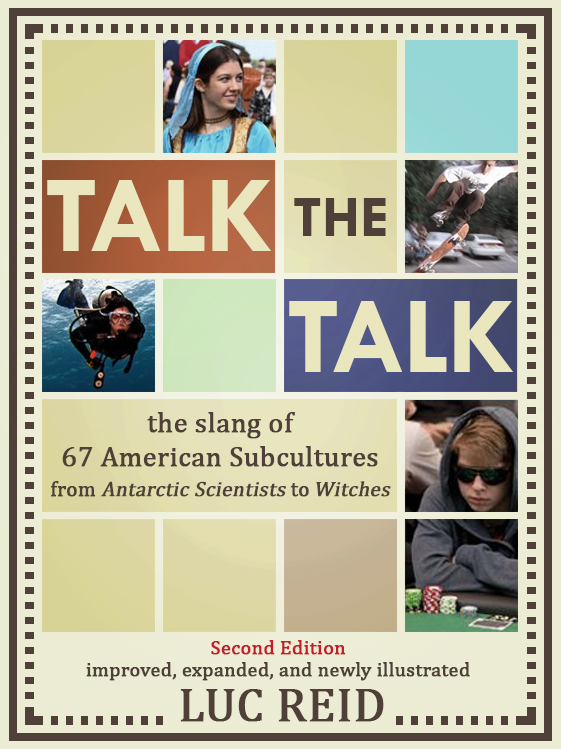 About two and a half years ago, when I set about putting together a Kindle edition of my 2006 book Talk the Talk: The Slang of 65 American Subcultures, I thought I was looking at a couple of week’s work in whatever time I could spare. It turns out that updating my term database with the original edition improvements, adding three new subcultures, putting in multiple photographs for every subculture, editing, adding some terms that didn’t fit in the first edition, and otherwise preparing this new edition have taken … well, two and a half years. Yet I think it was worth it! Check it out here. I was very pleased to find that no significant corrections were required from the original edition. Despite my careful research, I had half expected the day after the original book’s release to be deluged with telephone calls by irate members of the subcultures I’ve documented correcting my facts–but there weren’t any, then or since. If you’re interested in a review copy, whether for publication or simply for your blog, Amazon, or Goodreads, etc., please use the contact form here on my Web page. The print edition should be released next month. How Do I Preload Books onto a Kindle I’m Giving as a Gift? 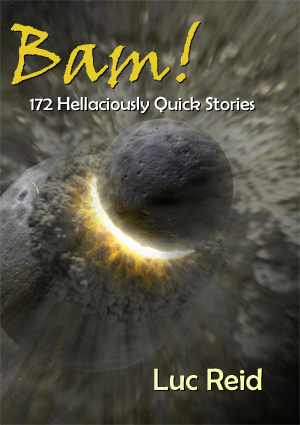 I’m collaborating with a group of five other science fiction, fantasy, and historical fiction authors on a contest that will give away a new Kindle Fire loaded with about a dozen great books. (More on that later, when the contest is ready to announce.) 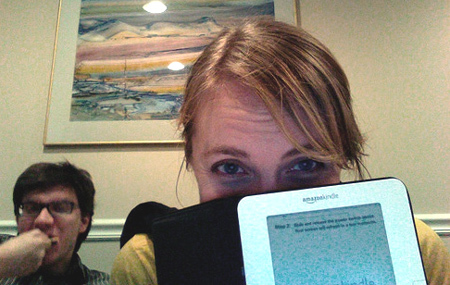 One of the questions we’re deciding on is how we want to give someone a Kindle with books already on it. This turns out to be kind of tricky. When someone receives a Kindle, they have to register it to an Amazon account. When this happens, according to Amazon, all previous content (whether purchased or manually loaded) is wiped from the device. This means that you can’t just order someone a Kindle and have it show up with the books you want on it, and it also means that if the person who’s getting the Kindle is going to register it, you can’t have it delivered to yourself, manually load up the books, and then give it to that person. This holds true regardless of whether you’re gifting a new or a used Kindle. Fortunately, there are several workable approaches. Here are the ones I know of. Please note that in most cases, it’s helpful to indicate when ordering a new Kindle that it’s a gift so that it isn’t automatically registered to your account. With a used Kindle, the recipient just has to re-register, in most cases. This is the least creative approach, but it’s also the easiest: just buy an Amazon gift card to go with the Kindle. This lets happy recipients choose and buy books on their own. It’s no good if you want to include specific books rather than just suggestions of what to buy, and it doesn’t help if you want to load books that don’t come from Amazon’s store (including, if you’re an author, your own–unless you want to pay Amazon to buy your own books, which considering you receive a 70% royalty in many cases might be a perfectly good option too). This one’s pretty easy as well. In addition to buying the Kindle for your gift recipient, you buy the books, but indicate that they’re gifts and specify who to. Once the new Kindle is registered, the recipient receives those gift books on the new Kindle. Again, this one’s no help if you’re not including books from Amazon itself. 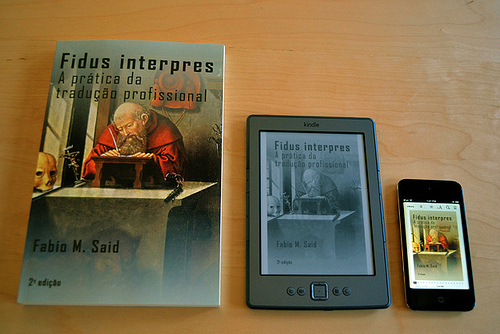 Kindles read not only Amazon’s .AMZ files, but also other formats, including .MOBI and .PRC (general eBook formats that aren’t limited to Kindle books); .DOC and .RTF files from Microsoft Word and other word processors; text files; HTML files; graphics formats like .JPG, .GIF, .PNG and .BMP (not good for reading); and Adobe Acrobat .PDFs. (Regarding .PDFs, a warning: many are designed for 8.5″x11″ paper and have to be shrunk down to a painful and sometimes unreadable size to be shown on Kindle). Any of these non-Amazon file types can be sent or given to the new Kindle owner through e-mail, download, thumb drive, CD-ROM, file transfer, or any other means that you would normally use to send files. My favorite option for getting files onto a Kindle, because it doesn’t require plugging in a USB cable or even being physically present, is to use Amazon’s @free.kindle.com e-mail address. This is a free (no surprise there) e-mail address provided to every Kindle user by Amazon, and it delivers files and eBooks via a wireless connection. There’s also a @kindle.com address that works over 3G for 3G-capable Kindles as well as over wireless, but documents sent that way are sometimes subject to a small charge to the recipient, so I always stick with the free version. The one limitation of this approach, which is a sensible one, is that the Kindle owner must pre-approve (“whitelist”) the sending e-mail address before anything can be received this way. All this does is approve the e-mail account being entered to send documents or books to the Kindle, so unless you’re worried about the sender sending a bunch of things you don’t want, there’s no real danger to it. Approved e-mail addresses can also be deleted at any time. In the dialog box that appears, enter the sender’s e-mail address. Once this is done, the sender can forward books that will appear automatically on the recipient’s Kindle the next time it’s connected to a wireless network. Note that it takes a few minutes after starting and connecting to the wireless network for the Kindle to check for new items, find them, download them, and display them. Wireless connectivity has to be turned on through the Kindle settings for this to work, of course, but most users will already have it on. Don’t send books or documents before the whitelisting is complete; they’ll just vanish into the void. Once this process is set up, though, it’s an easy way to get documents onto other people’s Kindles. This can be very handy not only for gift giving, but also for critique groups, work-related documents, sending articles for friends to read, etc. It’s one of my favorite underutilized Kindle features. Of course, this approach doesn’t work for sending books purchased on Amazon; for that, try one of the earlier methods. That’s all of the ways I can think of. Did I miss any? I met fellow writer Maya Lassiter (who writes an eclectic and highly entertaining blog about her yurt-living, kid-and-goat-raising, writing life) back in 2001, when Orson Scott Card ran his first annual writing week, called Uncle Orson’s Literary Boot Camp. The workshop was open to 20 of us, who auditioned with writing samples, and it was completely transformational to my writing. Scott Card was the first one to get me to understand that you didn’t have to wait for ideas, that you could go out and find them whenever you needed them. He was the one who explained that most of us write about a million words of garbage (literally) before we really start getting good. He was the one who explained to me the principles of writing clearly rather than prettily. It’s not a great surprise to me that many students of that Literary Boot Camp have gone on to substantial success. 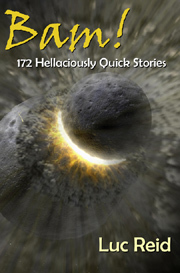 Doug Cohen became a successful fiction writer and the editor of a major fantasy magazine. 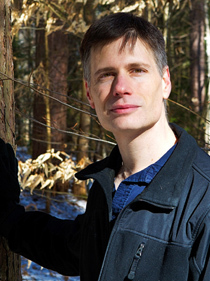 James Maxey authored multiple successful novels, including the Bitterwood and Dragon Age series. Jud Roberts‘ deeply-researched and adventure-filled Strongbow Saga has garnered eager fans for its first three books, with a fourth on the way. Ty Franck’s collaboration with Daniel Abraham (as James Corey), Leviathan Wakes, became a bestseller. I could go on. In any case, I later founded a group called Codex, which many Boot Camp alums joined, including Maya, and on Codex we like to have fiction contests. 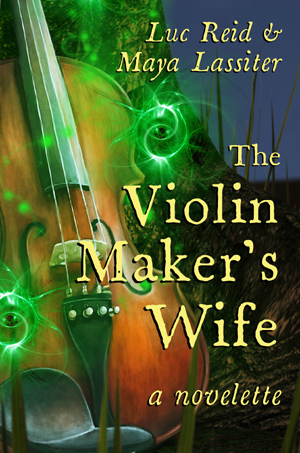 When we held a collaboration contest, Maya and I got together and came up with a story about violin making and badly-understood magic, a novelette that was eventually titled “The Violin Maker’s Wife.” It won that contest. 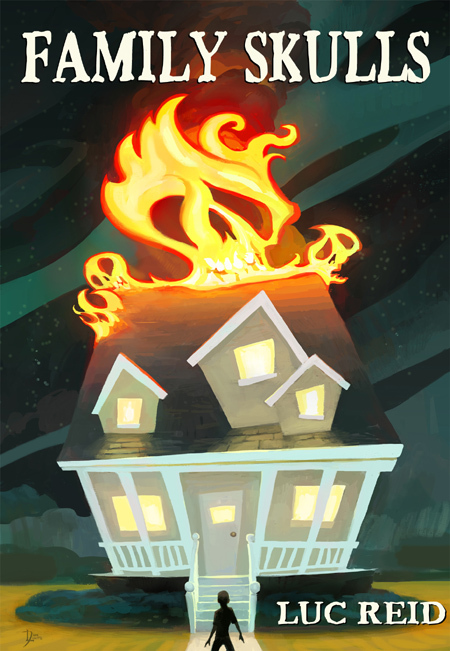 A couple of months ago, Maya and I decided to put the story out where it could be read and published it for the Amazon Kindle. Note that Amazon Prime members can read it free by using their free monthly Kindle rental. “The Violin Maker’s Wife” is a historical fantasy novelette, set in 1870s Missouri, and is about forty pages long. Nora Warren always knew there was something uncanny about her husband Tom’s work. What she didn’t know what that his enchanted violins could be deadly. Tom’s friend has one of the exquisite instruments, as does Tom himself. So does Garrett, Nora’s only son. But Tom has looked too deeply into his own magic, and Garrett is in danger. Now Nora must find the answers Tom can’t give her, even if it means searching for spells hidden in his workshop, questioning a secret society of musicians, and following dangerous lights out into the wilderness. Tom has looked where he shouldn’t, but to save Garrett it’s Nora who must find who–or what–has looked back. Sandra Tayler, a friend from Codex, recently posted her reasons for sticking to a large extent with paper books over eBooks. 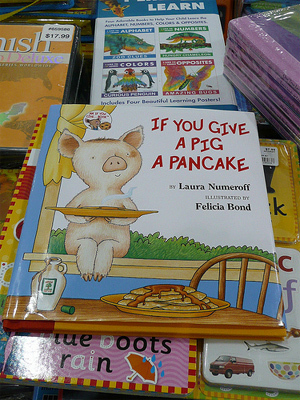 While she has a much different take than I do on the issue, she makes some very meaningful points, and I especially like her ideas about children’s books, which she makes better use of than many of us parents. You can read her thoughts on the matter at http://www.onecobble.com/2011/11/05/kindle-update-why-i-still-buy-paper-books/. This came as a surprise: today Amazon announced they are starting a free lending library for Kindle owners who have an Amazon Prime membership. Amazon Prime has to be one of the most unlikely bargains out there. Who thought of putting streaming movies, free shipping, and temporary eBook access together in one package (for $79 a year)? Counterintuitive or not, it’s an attractive option if you order a lot of things on the Web. Even if you do already own a Kindle and have Amazon Prime, don’t plan on suddenly being able to read whatever you want for free. Amazon is only offering a limited number of books under the program, with a maximum of one loan per month per Prime member. With that said, though, there’s an impressive array of books available–more than 5,000 of them, including some current bestsellers. I continue to worry about the fate of libraries as eReading spreads and the eBook world becomes more flexible and friendly to readers. Post your comments, links to articles elsewhere on the Web, or links to your own blogging on the subject below.